Strange Loop Projects is a Minneapolis based dance-theater company of seasoned artists creating intimate original productions. The Dream Channel- Episode 3 (in 3D) marks Zhauna's 5th full evening length production. 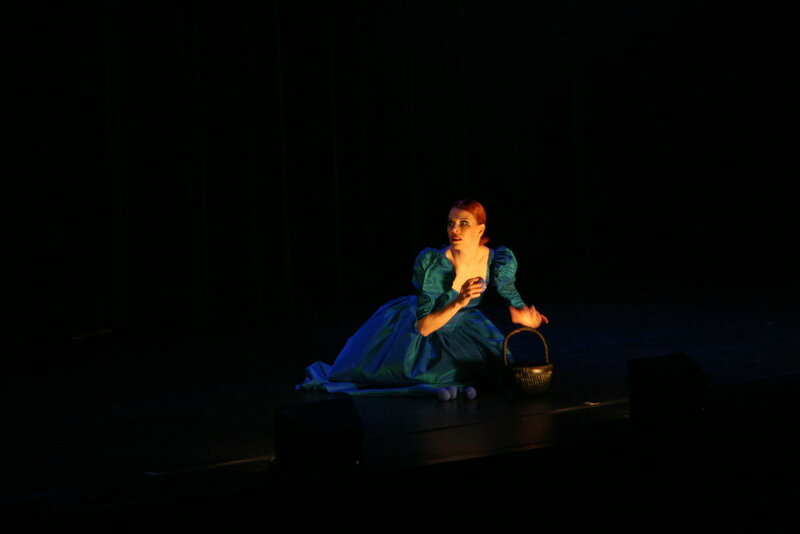 Previous productions: Beauty and the Beast (Minneapolis Fringe- Best Dance Production-Audience Choice Award), The Dream Channel Episodes 1 & 2 (The Ritz Theater), and Her Hysterical Nostalgia (Open Eye Figure Theatre). In New York Zhauna was featured in the award winning off-broadway immersive productions Sleep No More and Then She Fell (500 shows over 3 years). She was an original member of Ballet of the Dolls for 25 years appearing in over 100 original productions and Associate Artistic Director for 8 years. Heather Cadigan Brockman had the privilege of studying, dancing and performing with the Ballet of the Dolls company for nearly 20 years. She is currently working with Collide Theatrical Dance, DanceCo, Out On A Limb Dance Company and School, as well as various inspiring independent artists. She is thrilled to be a part of Zhauna’s vision, sharing performance spaces again with so many near and dear talents. As always, she thanks her husband John and her girl gang for their constant love and support. A professional dancer for 28years, Chris has performed soloist and principal roles with Ballet Austin, Ballet Florida, Ballet British Columbia, Alberta Ballet, James Sewell Ballet, and Gina Patterson's Voice Dance. He trained at the Houston Ballet Academy while studying music at the High School for Performing and Visual Arts. He later completed a Bachelor of Arts at the University of Texas in Austin. Chris is also a 2016 recipient of a McKnight Fellowship in Dance. Started out in bare feet with Loyce Houlton at the contemporary dance play house later to become the Minnesota Dance Theatre,then joined the professional company in 1978 thru 1984. For a few years she danced on other stages, Channhassen dinner theater, Children's Theater, Minn. Opera, and started teaching as well. From 1993-2007 Stephanie was a member of Myron Johnson's Ballet of the Doll's blending beautiful dancing with story telling and the magic of theater. In 1999 she received the McKnight Foundation Fellowship for dance. Christine Maginnis has been an active dance artist in the Twin Cities for over 3 decades, much of that time spent as a performer with Zenon Dance Co. and more recently with Off Leash Area, Arenadances, Movement Architecture, DAdance, Live Action Set, Ballet of the Dolls along with many "Indies". Her choreography has been presented by MDT, James Sewell Ballet and by many showcases around town. She is the honored recipient of a McKnight Fellowship for Dancers (2001) and a Sage Outstanding Performer award (2016).